Boudreaux had received a summons to appear for jury duty. 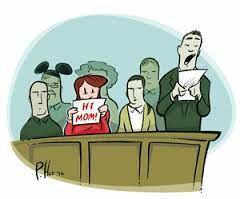 The judge was doing his preliminary interview of the prospective jurors, and asked them, "Is there any reason any of you could not serve as a juror in this case?" Boudreaux raised his hand and when the judge acknowledged him said, " Mais, I can't serve, Judge. I don't wants to be away from my job dat long." The judge asked him, "Can't they do without you at work?" Boudreaux answered, "Yeh, Judge, dey can do widdout me, but I jus' don't wants dem to know it."